The trade deadline has been an especially interesting time for Tampa Bay Lightning general manager Steve Yzerman this season. While the team has been at the top of the league for most of the year, they have had a consistent defensive hole on their first pairing alongside Victor Hedman. While Jake Dotchin played adequately last season in this role, he has taken a major step back in his first full year as a starter, showing that he is not ready for major playoff time on the top pairing. So, this left the Lightning with a clear issue to address at the trade deadline in order to take that next step as a team. With the Lightning needing a fairly high-caliber player to put next to Hedman, options were expected to sparse and expensive. 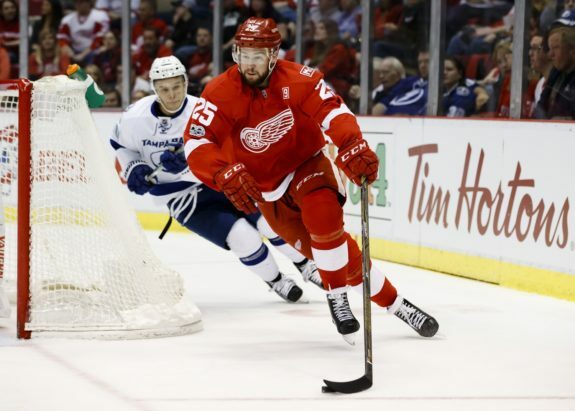 Yzerman would likely have to outbid other playoff-bound teams for a rental like Mike Green in order to have any chance at a player who could potentially take on the role as a No. 2 defenseman. What no one saw coming at the start of the year, however, was the glut of high caliber players potentially available at the 2018 trade deadline. With teams like the New York Rangers going through a sudden rebuild, and the Ottawa Senators going through… let’s call it ownership struggles… you had a half dozen players hitting the trade wire that, really, shouldn’t have been available. 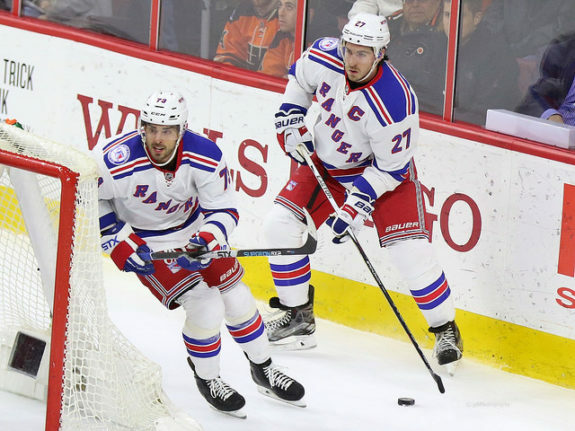 Names like Erik Karlsson and Ryan McDonagh have taken over this deadline, despite the fact that neither of these players are a traditional rental. Suddenly, Green wasn’t the only player who fits the Lightning’s needs. They could go out and make a fantasy hockey trade to build a super team instead of buying a rental. This turned a seller’s market into a buyers dream, giving Yzerman a leg to stand on during negotiations. While a player like a Karlsson or a McDonagh would be prohibitively expensive no matter the situation, Yzerman can, at the least, play his hand to try and mitigate the cost. If he can’t reach a fair price, there’s always another option on the table. While this may be a bit hyperbolic since the Lightning would have to either waive a defenseman or trade one in order to bring in a new player, we still understand what Yzerman means. He won’t give up a young core piece like Braydon Point, Mikhail Sergachev or Yanni Gourde in order to make a blockbuster trade. This mentality can only last as long as Yzerman has the option to make a traditional rental trade using picks and prospects. As long as Green is still playing for the Detroit Red Wings, the Lightning can always walk away from the negotiation table knowing they can make an upgrade using nothing but futures. However, if Detroit decides to sell on him sooner rather than later, the Lightning will lose a significant negotiation tactic. The Senators and Rangers know this is the case, so they will both hold out as long as possible before trading one of their star defensemen. While this could lead to them getting nothing at this deadline, they don’t have to make a trade now. Since both Karlsson and McDonagh are signed through next season, they can wait until the draft to attempt a massive deal. This means the window for Yzerman making his ideal trade is very small. If Ottawa or New York can find another suitor willing to pay the hefty price for their defensemen, the Lightning might miss out on their perfect playoff upgrade. If he waits too long or refuses to budge on his ‘no trading current roster players’ stance, they might have to overpay in futures, which is something Yzerman typically will not do. Essentially, this means the Lightning will have to be the first team to make a move for one of the big name defenders, while still refusing to overpay for them. Once that first move is made, expect the other pieces to quickly fall as teams scramble to pick up the remaining high-value players. Yzerman is a Jedi and he continues to prove how adept he is at maneuvering assets and contracts around the league.